Hooray! 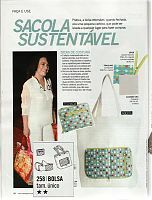 It’s a new issue of our favourite soap opera-obsessed, Brazilian sewing pattern magazine, Manequim! 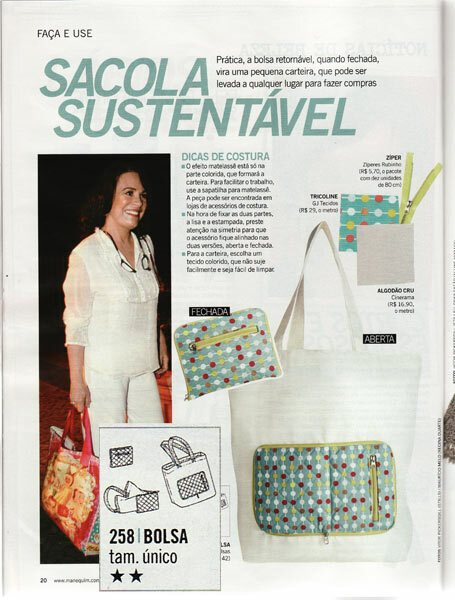 Oh look – it’s a shopper tote bag that folds up into it’s own zippered pouch! This is something I’ve seen a bunch in shops, but not in pattern form before. I really like the square neckline and offset zipper opening to this shirtdress. On first glance, it looks quite standard, but the more I stare at the tech drawing, the more cool details I see in this! The blouse here feels quite retro (maybe 20s or 30s), apart from the sheer fabric! But I really love the leather trousers here, which the part jersey which gives them a nice, close fit. The designer in focus this month is Rochas, and I really like the coat and shirt (made up here in what looks like a silk crepe). 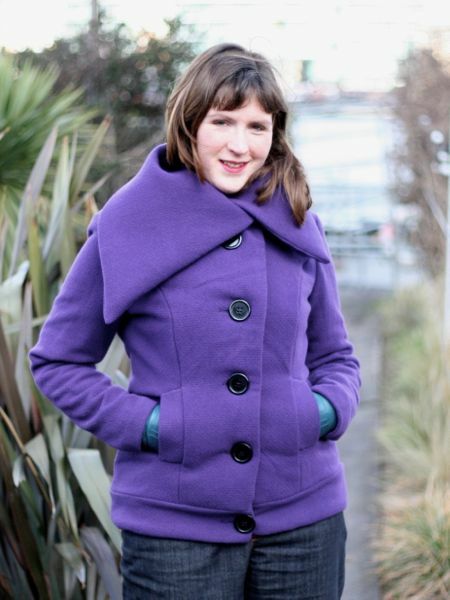 It doesn’t hurt that the colours they’ve chosen are just so me anyway, but check out the collar on the coat – it’s a dead ringer for the one on my purple MyImage coat (which I’ve worn pretty much non-stop since I made it, fyi). From a feature where they showed separates worn together, and then, err, separately, I really liked this tie-neck blouse and skirt combo, though I think the print is a bit too much when worn together. Funny, but in nearly all the examples I enjoyed the separates much more when worn with other items than together! I’m not really sure how this silk blouse is “Sporty”, but I really like the way they’ve colourblocked it and how it brings out the different pleats and seamlines. 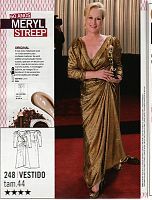 And now, the moment we’ve been waiting all year for… Manequim’s Oscar dress special!! This year we got patterns for gowns worn by Natalie Portman, Gwyneth Paltrow, Sandra Bullock, and Meryl Streep (and one other woman I didn’t know and whose name escapes me right now!). These two are my favourite. Though probably not in a lamé! As much as I love the gowns and knowing that I could make my own version now if I wanted to, I can’t say that I feel terribly tempted to put in all the work that a formal, designer gown would involve. Right now I’m feeling more need for sun dresses and day dresses than gowns, but I do have a wedding coming up in a few months so I’m brewing ideas for a more formal dress to wear to that already! 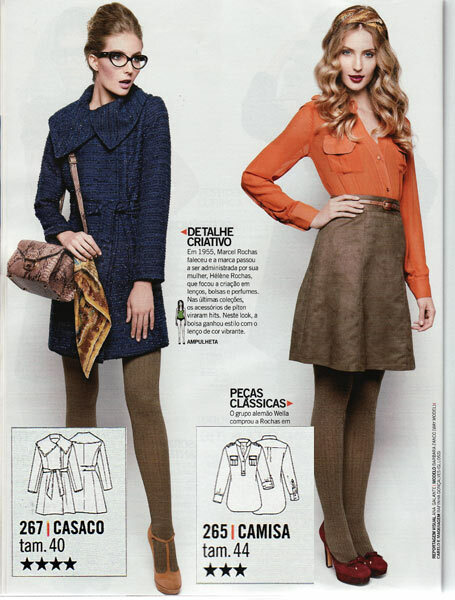 Separator image Posted in Gallery and tagged with magazine, manequim.